There are 2 posts tagged grunge (this is page 1 of 1). I was not convinced I should read Kim Gordon’s memoir. Although I do like Sonic Youth, it was never a band that fascinated me. I respected them a lot, and I bought some of their records, but I was more into Nirvana at the time, it was more pop, more visceral and spoke to me more. I always thought Sonic Youth was a bit too artsy. 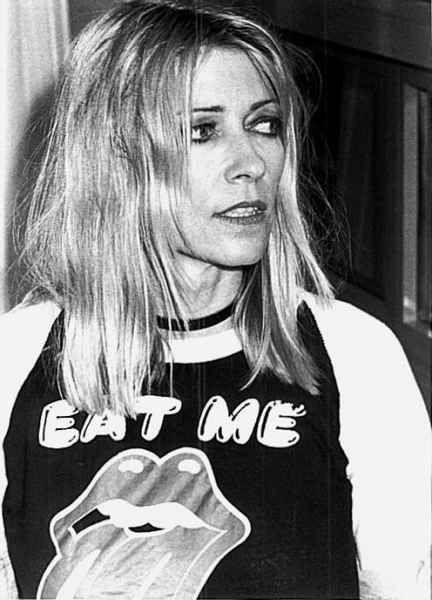 Therefore, Kim Gordon was not my reference as THE woman in a band. She looked too strong, and too confident, there was something harsh about her. Maybe she was too American, too girlie. Maybe I was more into girls playing guitar and I despised bass. Maybe she was not enough of a leader. I never really thought about it, but she was not my type and I never identified with her. When Kim and Thurston’s marriage exploded, and Sonic Youth called it a day, I felt weird. It was rather unexpected. It’s true that those two looked like a myth, it was the perfect rock and roll couple and everyone thought they couldn’t ever separate. They had been through so much already, they were in a rock band together! That had to be the biggest test ever for a relationship! But they failed, after so many years, and like most couples do, in the most pathetic way. There is no exception for rockstars, obviously. Everybody goes by the same rules. I remember the official statement the band made for the press, it was simple, clear, and straightforward. There was no crazy media fuss about it, which I thought was elegant. I was not a Sonic Youth fan, but those two meant something to me, and I grew up with them. Sadly, I realized how important they were to me when they separated. ‘Girl in a Band’ sounded like a good hook. I, too, am a girl in a band after all. And whether Kim Gordon is my type or not, she is so damn cool. So I bought the book. Autobiographies or memoirs are always interesting when you are in the music world yourself, because most of the artists now in their late 50s or 60s or even older have had unusual lives. My generation is much more formatted and trajectories often look the same. But back in the days, there were real musical movements and all those people were, if not pioneers themselves, part of something huge, something that changed the society, the music, the fashion, the way of life, and the business too. And grunge was probably the last real musical movement along with britpop. I was a teenager when it happened, I remember it all, I was watching MTV, and those bands were everywhere; on television, on the radio, on the mixtapes I made for my friends and we exchanged at school, and in my imagination too. I wanted to be like those guys. I wanted to be a girl in a band. Kim Gordon’s book looks like an essay to me. It’s extremely insightful. As I was reading along I took a bunch of notes. She reflects about being a woman in general, and in this band in particular, about relationships, in the band, outside the band, in the business, in art, in love, in the family. It’s not a boring collection of chronological events summarizing her life. Of course, it made a lot of sense to me. Some questions I also have, some issues are simply identical because I am a woman, surrounded by guys, and expectations are somehow similar. I was convinced Kim was a pure New Yorker, but although she was born in Rochester, NY, she was raised in California. The sunny glamorous halo surrounding her probably comes from there. But her intellectual journey really took off in New York around the no-wave movement. What I really found fascinating is that she never really describes her job as a songwriter’s duty. It’s not about the songs, or the melodies, but mostly about the performance and the idea. For her, music, at least in the beginning, seemed to have been an artistic medium like any other. Making sound was as important as creating pictures, filming, painting, dancing or performing in any way. It’s definitely not how I came to music, I came to music by the melody, and how it obsessed me, and by rhythmic patterns and how they appealed to me physically. It was not intellectual, at first, but totally instinctive and sensitive. Although Kim appears as an overly sensitive person, she seemed to have found a shelter in the intellectual aspect of art. When you hide behind an idea, everything seems much easier, because that idea structures what you are doing as much as it shapes your being. It’s fully reassuring. Kim wanted to create, and it was natural for her to move into the art world. Although performing was vital for her, she doesn’t speak precisely about writing and the band’s workflow. Some songs are highlighted, and she tells the story about specific lyrics but you really understand, that despite such a raw and primitive sound, Sonic Youth’s music was guided by a highly sophisticated ambition. Gordon also speaks as a woman, a wife and a mother, and depicts herself as insecure and fragile. She is not indecent in any way, but still manages to share a lot about herself. It’s a strong book and you sometimes feel she probably had written more than what was kept in the final version. 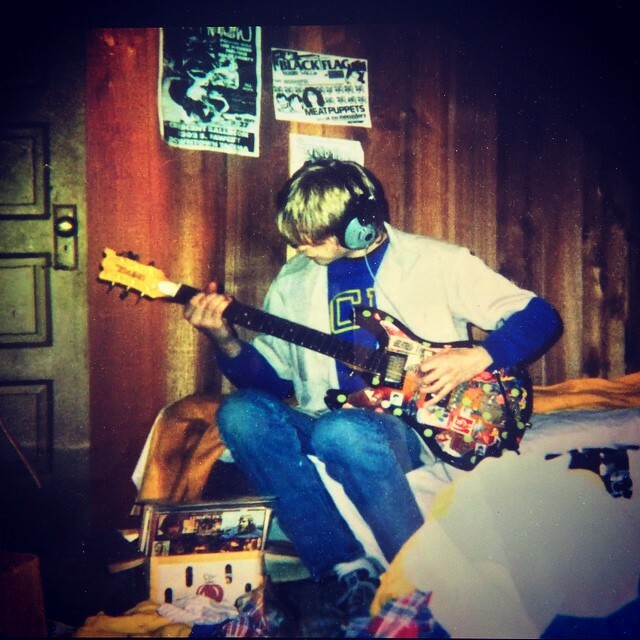 All extracts about Kurt Cobain are amazing, their affinity was moving and it didn’t surprise me. There is something solid about her, probably linked to her social background, that makes her so wonderfully normal. I believe one needs to have this sort of solidity to succeed in art; normal is necessary. The strength and longevity comes from that. Normal doesn’t mean boring, it’s just a structure. It means you know where you come from, and where you’re heading at, and it supposes you are not building things up randomly. It’s like a grid you can always refer to. It doesn’t protect you from everything, but I think it helps keeping you alive in a world that constantly requires you to open up, and puts a lot of pressure on you. Kim Gordon did just that. She wasn’t really aware of herself as a rockstar. In the book you understand she somehow figured out what she represented for the kids, but it was never meaningful to her. She always had her feet on the ground. Maybe her marriage didn’t survive that normality, but I tend to believe she did, as a woman. Her career and life looks very consistent to me. She was never a girl in a brand. Anyway, this book a must-read and Kim Gordon is obviously a smart woman. He reflections are genuinely openhearted and inspiring. It was stimulating in many ways. It’s not a rockstar’s ego-centered autobiography, but a woman’s collection of thoughts and memories. And a very valuable one.